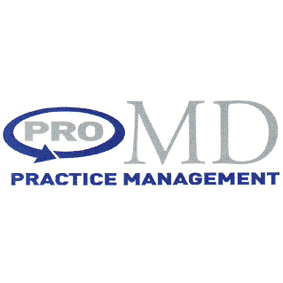 Yellow Pages » FL » Miami » Medical Service Organizations » ProMD Practice Management, Inc.
About ProMD Practice Management, Inc.
ProMd Practice Management Efficient medical billing leads to better patient care. Having been founded by physicians, at ProMD we understand how having a smoothly running operation allows a physician to focus their time and energy on patient care. We work closely with a practice's management and staff to ensure increased efficiency while reducing waste. We have developed a "Full Circle" approach to medical practice management. This means ProMD will assess your practice as a whole and then focus attention on streamlining those aspects of your business that are not performing at full efficiency. Having a staff and business systems in place that you can count on to effectively handle day to day business operations allows you to focus on what's most important: providing quality patient care. We continue striving to provide the very best medical practice management, billing and collection and consulting services to our clients. To this end we also work to foster relationships with leading providers of medical practice services, products, applications, equipments and technologies. By combining our expertise with offerings from these leaders in the industry, we are able to deliver comprehensive solutions to any practice's unique challenges. Contact ProMD for more information about our world-class medical practice management. If you are the owner of ProMD Practice Management, Inc. and would like to make changes to your business listing information, click here. Contact Request for ProMD Practice Management, Inc.